Enjoy our collection of Celtic clip art and St. Patrick's Day graphics for any Irish celebration; they're not only for St. Patrick's Day, they're for any day you need a bit of Irish inspiration or decoration! 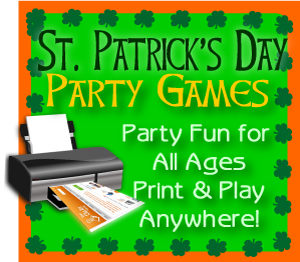 Click on a thumbnail image to open a window with a full size clip art graphic image to make St. Patrick's Day greeting cards, decorations, holiday crafts and scrapbook pages with an Irish flavor. You'll surely find a lovely selection of Irish graphics from vintage St. Patrick's Day post cards in this collection at Clip Art 'n Crafts.